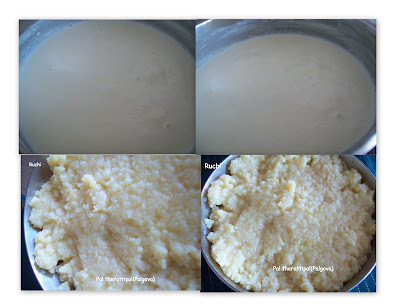 1.Boil milk in a heavy bottomed pan or kadai .Stir the milk to avoid overflow. 3.Once the milk thickens and reduces its volume, add the sugar and mix well... and keep stirring frequently to prevent burning. 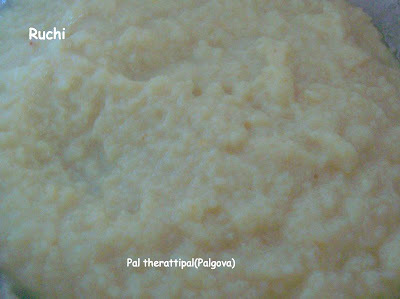 5.Remove from flame. 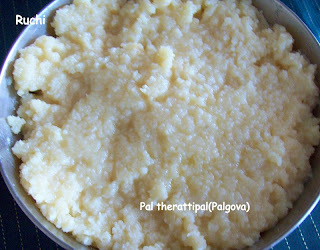 Now Yummy and the delicious Pal therattipal(Palgova) is ready for serving. We can get 1 cup of thirattipal from 1 litre of milk. Yum yum, my all time favourite..